The Panasonic X300's unique selling point is very easy to spot! It features a unique flip-out viewfinder like a digital camcorder's to make it easy to take video clips and still photographs. The X300 has a built-in VGA resolution video and stills camera, plus a 65,000 colour screen to get the most out of your video or still playback. 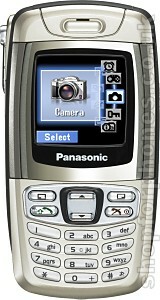 In addition, the Panasonic X300 supports GPRS, MMS, polyphic ringtones and much more. Available now, on O2 Contract, Vodafone Contract (UK), Virgin Mobile and SIM Free for UK or Worldwide delivery. 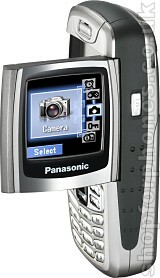 If you want more information on the Panasonic X300, subscribe to our mailing list. Also, the Update newsletter contains general news about new phone releases.